PR Council president Renee Wilson and a trio of judges discuss this year's awards. A lack of diversity in the workforce is a problem organizations across the business landscape continue to face. Look no further than Facebook. As highlighted by an August 16 article in The Wall Street Journal, despite a concerted effort started two years ago to improve the situation, "the company has made little progress addressing the persistent problem." Many PR agencies and in-house arms can relate. They recognize the problem, want to do something about it, but have struggled to move the needle. However, that only amplifies the credit due to those who have made real progress. Honoring those entities is the foundation of the Diversity Distinction in PR Awards, presented by the PR Council in partnership with PRWeek. "Many of the entries that came in this year have shown evolution in how agencies and in-house departments are working to build their diverse workforces," notes PR Council president Renee Wilson. "These awards provide education to those firms or in-house teams that may not think they have the ability to create real change within their organizations. They provide inspiration to think differently." So while the industry still has a long way to go, our esteemed octet of arbiters saw reasons to be encouraged. Many large entities, both agencies and brands, were represented among the submissions, which were accepted from mid-May to mid-July. The judges were: Lori Billingsley, VP of community relations, Coca-Cola North America; Paul Capelli, VP of communications, consumer health, Bayer; Pat Ford, vice chair and chief client officer, Burson-Marsteller; Rahsaan Harris, president and CEO, Emma Bowen Foundation; Hua Jiang, assistant professor, Department of Public Relations, S.I. Newhouse School of Public Communications, Syracuse University; Arati Randolph, SVP, corporate communications and head of corporate news, enterprise content, executive communications and new media, Wells Fargo; Trisch Smith, EVP and MD of diversity and inclusion, Edelman; and Tonya Veasey, president and CEO, OCG PR. Five categories were judged as part of the Diversity Distinction in PR Awards: Best PR Firm Diversity Initiative, broken up into two categories – for agencies with $100 million or more in annual revenue and those with less than $100 million in annual revenue; Diversity Champion, which for the first time was split into two groups – PR Agency and In-House; and Best New Diversity Initiative, a category introduced in 2015 to honor recently launched efforts to do something concrete on the diversity and inclusion front. Also, for the first time, honorable mentions are being awarded to cast a wider spotlight on those doing noteworthy work on this front. Select finalists are also listed to further highlight worthy entries. As the succeeding write-ups underscore, great programs can be found across the industry from teams and individuals representing entities of all sizes. So while the PR Council and PRWeek's ultimate hope is an industry so diverse and inclusive to where these awards become unnecessary, pride can be taken in and inspiration gleaned from those we are honoring. Building on its industry-leading diversity and inclusion efforts, Weber Shandwick stood out with this "exemplary program that shows commitment at every level," noted one judge, capturing the unanimous sentiment. At every turn, Weber underscores how diversity and inclusion is deeply ingrained in its culture and business strategy. Recent efforts tackling the sensitive subject of unconscious bias stood out, as master classes were offered to global leaders, with training provided at all levels. 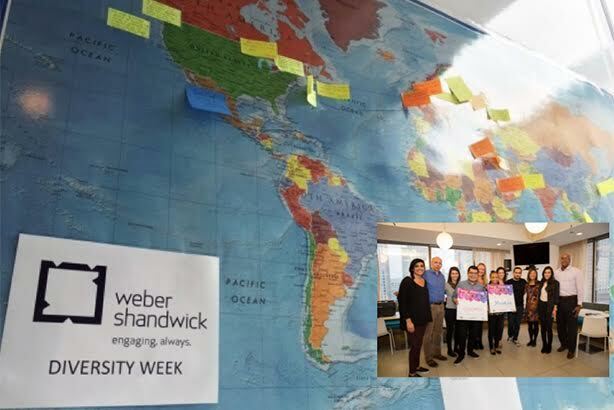 Weber’s Diversity Day/Week, which now takes place in 12 U.S. offices, was highly commended. This program deepened engagement through fresh approaches, including the mapping of employees’ roots and Diversity Day photo booths where staffers shared customizable signs that highlighted what makes them unique. Post-event, 90% of participants said they felt "more engaged as I believe my company cares about diversity and inclusion." 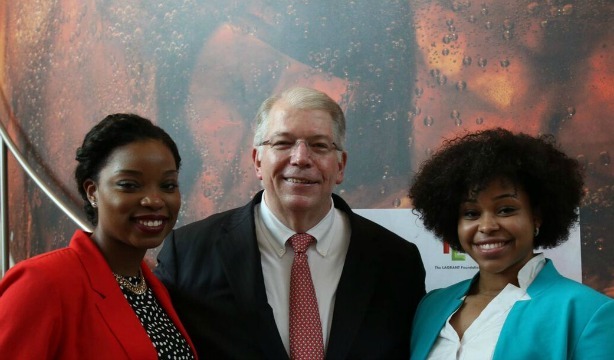 Diversity empowerment seminars, quarterly educational sessions connecting diversity and inclusion topics to the business, further accentuated Weber’s understanding of the bottom-line importance. In the ongoing push to build its diverse talent pipeline, Weber established and continued partnerships with key organizations such as ColorComm, the Ron Brown Scholar Program, and the Lagrant Foundation. The staffing results are noteworthy. In 2015, 28% of VP/SVP hires, as well as 27.8% of promotions to the VP level, were people of color. Meanwhile, the agency’s Diversity Council grew from 118 to more than 175, underscoring the increasing, agency-wide buy-in of how crucial diversity and inclusion are. "Weber’s strategy is clearly holistic," added one judge. "It continues to raise the bar and produce results. It’s a model for all to follow." Committed to making a giant leap on diversity and inclusion this past year, Burson-Marsteller unveiled Together Being More - with its three pillars being candidates, culture, and catalyst. To woo candidates, partnerships were fortified with leading entities, including Hampton University. On culture, employee resource groups were launched and charged with creating networks and advancing mentorship. To be a catalyst, Burson became pro bono AOR for Inroads, a national organization providing professional training and job placement for underserved students. Burson made 17 diverse mid- and senior-level hires this past year. 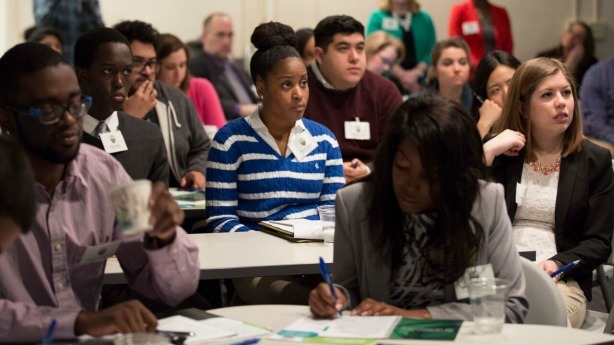 Moreover, from 2014 to 2016, the number of diverse interns rose from 21% to 51%. In a program aiming to attract diverse intern candidates, Indianapolis-based Borshoff worked with 15 state colleges to get students studying PR or advertising in their freshman, sophomore, or junior years. With a goal of attracting 30 student attendees, along with their advisers, for this half-day event, 40 RSVPs were secured within three weeks. And to ensure the content would resonate, Borshoff meticulously evaluated the feedback from its 2015 boot camp to hone in on the information students would find most useful. Among many valuable sessions, a 45-minute panel discussion was the cornerstone of this year’s initiative. It featured three minority professionals working in comms, each offering counsel from a perspective of someone now sitting in a role the students can envision themselves occupying. Student feedback included: "The presenters’ experiences gave us the professional point of view to help us enter the workforce." The program is also changing the agency. Of Borshoff’s 57 employees, seven are ethnically diverse, including one senior-level leader and a former intern who was recently hired. Furthermore, two students who attended the 2016 event immediately inquired about – and completed – job shadowing at the agency. To underscore the agency-wide buy-in to the boot camp’s importance, a significant number of Borshoff staffers took part in the preparation and presentation of the program, noting they learned a great deal about diverse and inclusive hiring from their involvement. While judges truly admired what Borshoff has already accomplished with the program, they came away equally impressed with the excitement the agency conveyed about where they see its Diversity Internship Boot Camp advancing in the future. Convinced after three years there is interest and demand for an event such as this, the agency is exploring moving it to a larger space outside its offices – and it is willing to devote the extra resources. Borshoff is also inquiring about the potential to bring in corporate partners to further increase the camp’s value to students. An Indiana-based global manufacturing company has already expressed interest in taking part next year. "A truly admirable program that is working," said one judge. "I truly hope other smaller firms see this and are inspired by it." Rolled out late last year, this program was built on a philosophy that real change on diverse staffing – both recruitment and retention – and attitudes about its importance would be best facilitated through employee networks. The two new groups created this past year were Edelman Equal and Edelman Griot. In both cases, executive sponsors were crucial in ensuring broad commitment and alignment with company goals. Numerous events in cities nationwide raised awareness and interest to the point where Equal already has nearly 270 members, while Griot is approaching 150. Though still new, the formation of these networks, with two more planned to debut in December, have already laid a strong foundation for success. For example, following June’s mass shooting tragedy in Orlando, Edelman Equal led the effort where all employees across the U.S. gathered for a moment of silence to honor victims. Events such as this, coordinated by dedicated employee groups committed to the cause, build on each other and create a culture where true progress on diverse and inclusive staffing can occur. "Employee engagement is an often overlooked element in this equation," noted one judge. "I applaud Edelman for this very creative activation." Ketchum introduced this gamified external online recruitment app in January to attract and hire better and more diverse candidates for its summer fellows program. Potential interns were invited to play an interactive game where they solved two fictitious client challenges. This leveled the playing field, provided a solid test of PR skills, and broadened the pool of potential applicants to many diverse youngsters who might otherwise never connect with Ketchum. Thus far, the app has helped double the percentage of non-traditional hires, while increasing diversity hires in 20% of offices that took part in the summer fellows program. Currently worldwide vice chair and chief client officer at Burson-Marsteller, Pat Ford’s list of contributions to improving diversity and inclusion at his firm and industry-wide is long indeed. He founded Burson’s Diversity and Inclusion Council and instituted diversity training at the agency for staffers of all levels of seniority. In 2007, as U.S. CEO, he mandated the creation of the Mentoring Circles program to ensure the firm was developing and leveraging a diverse pool of high-potential employees. A longtime and active supporter of the Lagrant Foundation and the Scripps Howard School at Hampton University, he continues to actively mentor diverse students at universities nationwide. And in his role on the leadership committee of the IPR’s board, Ford recruits new members of diverse backgrounds and continually advocates for increased initiatives. Perhaps the best testament to Ford’s impact is the list of impressive industry leaders he has mentored. Among them: Chris Foster, who recently rejoined Burson as a worldwide EVP after many years in leading posts at Booz Allen Hamilton; Sophia Zhao, EVP of PPR Worldwide; and Jano Cabrera, senior communications executive at McDonald’s. As one judge noted, "Pat is the ultimate diversity champion because he harnesses his vast influence to help others achieve. He is a beacon of empowerment." Weber Shandwick’s numerous accolades in this space are a testament to Judith Harrison, SVP, diversity and inclusion. 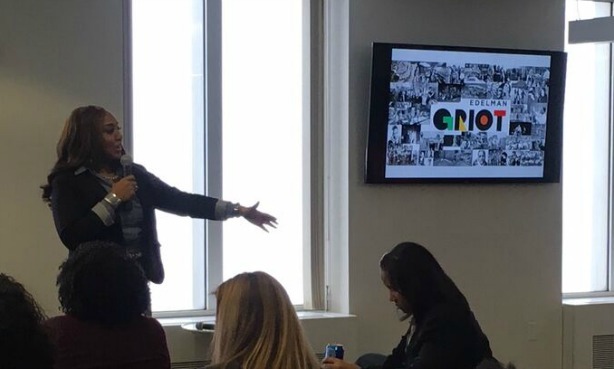 To accentuate her industry-wide impact, Harrison, who leads Weber’s 175-member Diversity & Inclusion Council, facilitated the launch of ColorComm’s Chicago and New York chapters. She also initiated and advanced the PRIME program. With the backing of 15 major brand sponsors, as well as the PR Council, among others, the effort has successfully increased diversity in PR by recruiting students from historically black colleges. Her dogged efforts, including work with the Opportunity Network and Jeter’s Leaders, have also introduced high school students to PR. "A simply outstanding leader," offered one judge. Bank of America’s Global Marketing & Corporate Affairs Summer Intern Program creates a pipeline of diverse young talent from top U.S. journalism schools. It earned a Diversity Distinction in PR Award in 2014, and Tony Allen, corporate reputation lead, spearheads and co-chairs it. The program has thus far recruited 42 interns, 40% people of color and 73% women. Nearly 20% have been hired. Furthermore, hired interns of Allen’s have developed the Millennial Advisory Council to provide diverse insights to the CMO and vice chairman. "His leadership has fostered other leaders – the definition of a champion," explained one judge. "Tony embodies the impact of diversity in driving results." A proactive messenger who consistently speaks out on the need for companies to reflect the communities they serve, Allen is a founding member of the Black Executive Leadership Council, a 150-member group that focuses on the development, advancement, and retention of black talent. Allen’s impact is also felt far beyond the walls of his company. He is very active with the National Urban League, where he is a past recipient of the Whitney M. Young Award for Advancing Racial Equality. Additionally, he serves as chairman emeritus of the National Urban Fellows, the oldest fellowship program for mid-career professionals of color in the U.S.
As chief diversity and inclusion officer for the Atlanta Hawks, Nzinga Shaw is not only the first person to hold this post in the NBA, but also among North America’s 122 major pro sports teams. Among the numerous programs she has developed, MOSAIC (Model of Shaping Atlanta Through Inclusive Conversations) has been universally lauded as a catalyst to facilitate meaningful dialogue and actions to ensure racial and gender equality in all organizations. 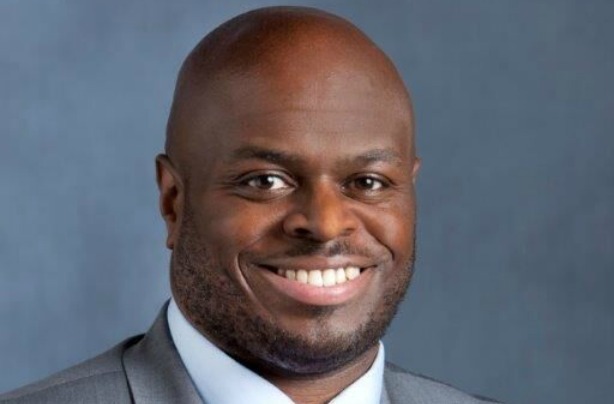 Of course, since Shaw joined the team after a distinguished stint as VP of diversity and inclusion at Edelman, 42% of its business operation executives VP and above are ethnic minorities. "She exemplifies the spirit of a diversity champion," noted one judge.